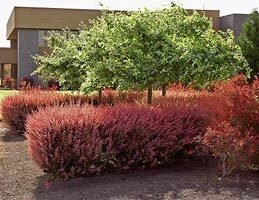 Rose Glow Barberry is a handsome, compact, rounded shrub with outstanding foliage color all season. 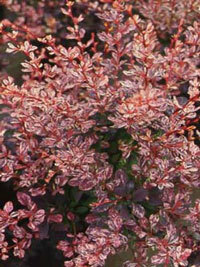 New growth is rosy-pink with deep purple splotches becoming deep, reddish-purple when mature. Makes superb accent plant, low hedge or rock garden plant. Other Barberry colors run from deep green in Emerald Carousel Barberry to yellow in a Golden Carousel Barberry. The Crimson Pigmy Barberry grows to only two feet. Foliage has lovely, rose-pink mottled splotches. New growth is exceptionally red. Deciduous shrub. Light: Plant in full sun to achieve best color. Growth: Densely branched form grows to 3' tall with a spread of 2-3'. Uses: Rugged low hedge or use as an accent specimen. 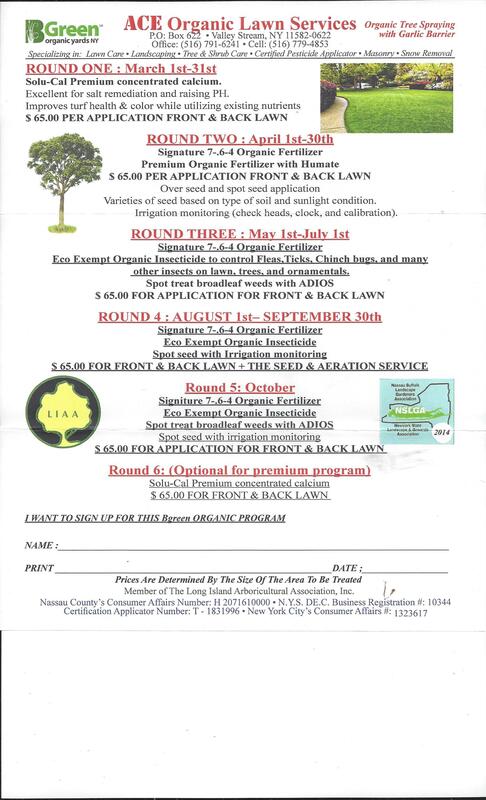 Tips: Adaptable to many soil conditions. Prefers full sun or light shade.